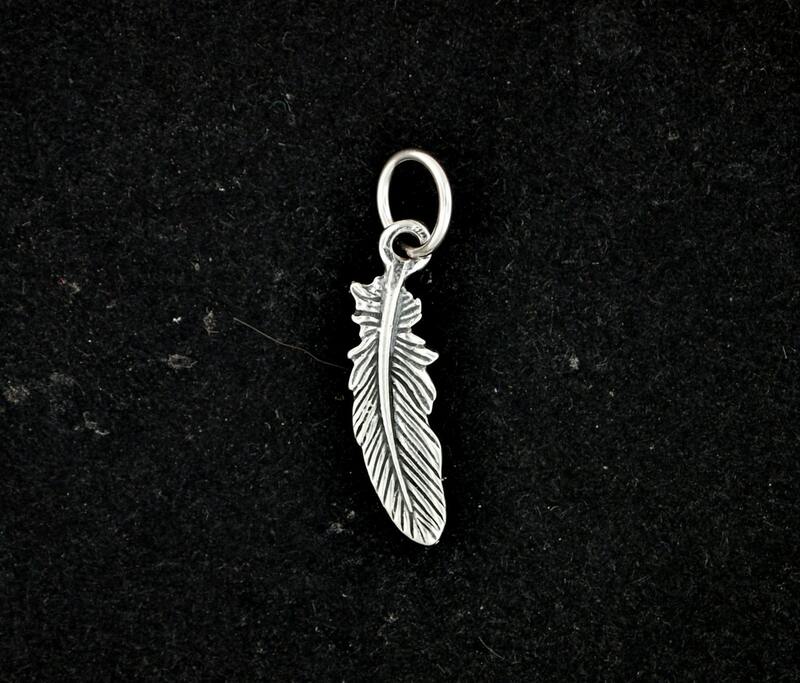 This small handmade sterling silver feather charm is based on a charm bracelet I picked up in New Orleans on a road trip in 2012. I picked up a few cute charms while on vacation, and this was one of those constant requests I had gotten over the years. The pendant is 2.25cm long with a loop to pass a chain or cord and is double sided.